Whether you’re celebrating a birthday, an engagement or, well, Friday, trying to find the perfect venue to accomodate the squad can be a challenge. So you’ll be pleased to hear we’ve taken it upon ourselves (just because we’re nice like that) to round up the most awesome places in Singapore to host a party. Be it intimate drinks and nibbles with a few close friends, or an all-out partaaaaay with 50 of your besties, our handy guide to the best private dining rooms and bars has got you covered. You’re welcome. Taking up almost half of Level 3 in Cuppage Plaza, Azmaya Honten is the largest Japanese restaurant in the building and a buzzing spot to get your celebration on. If you’re coming with a group, aim for one of its private rooms where you can chill out on tatami mats and enjoy free-flow beers, highballs, shochu, and soft drinks for just $35++, as well as DIY barbecues and hotpots with premium meats, seafood, and veggies. You can even bring your own speakers and groove to your favourite beats. If vino, charcuterie, and cheese is more your style, head to the Rillette Bar on the top floor of Le Bistrot du Sommelier. The atmosphere here is refreshingly rustic with pots and pans hanging on the white brick walls and plenty of seating at dark wooden tables. 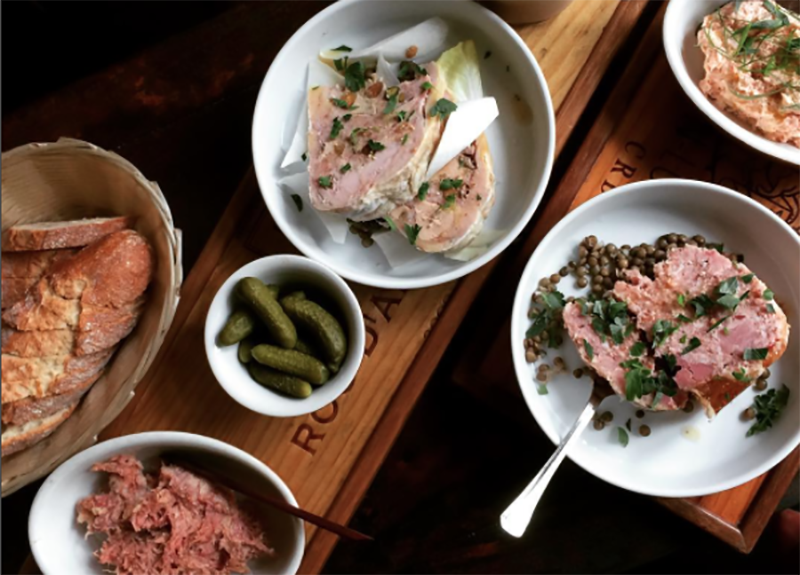 Order up some of their excellent imported French cheeses, housemade terrines, and rillettes in your choice of duck, pork, rabbit, or mackerel, and be sure to ask the sommelier to suggest some bottles of wine to pair with your birthday spread. For spectacular views along with elegant sips and snacks, you can’t go wrong with Michelin-starred Braci. Book out the entire 20-seater dining room or the 30-seater rooftop bar and soak up vistas of the Singapore River and bustling Boat Quay below as you dig into Chef Beppe De Vito’s modern Italian dishes like beef tartare with smoked marrow, tagliolini with Japanese sea urchin, and Sardinian sea bass roasted over a charcoal grill. 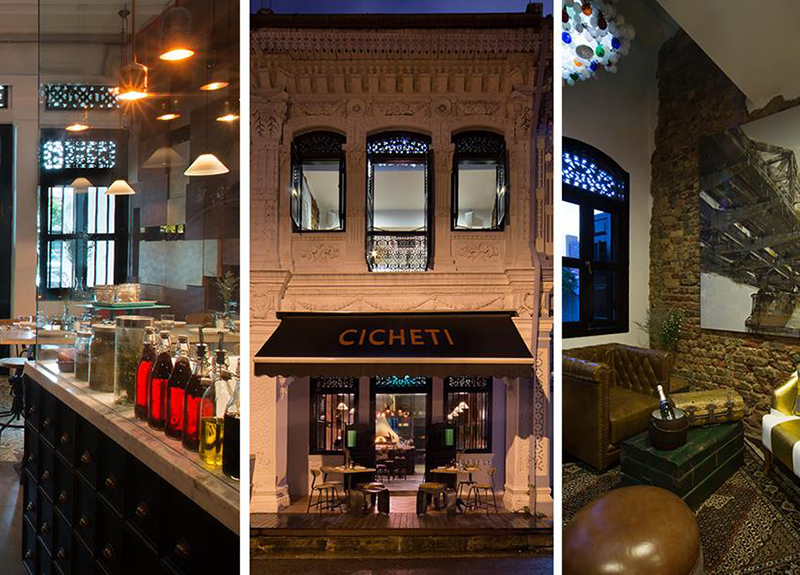 Cicheti is named after the small plates served in Venice’s wine bars and, much like those wine bars, this warm and welcoming spot is the perfect place to share good food and drinks with friends. 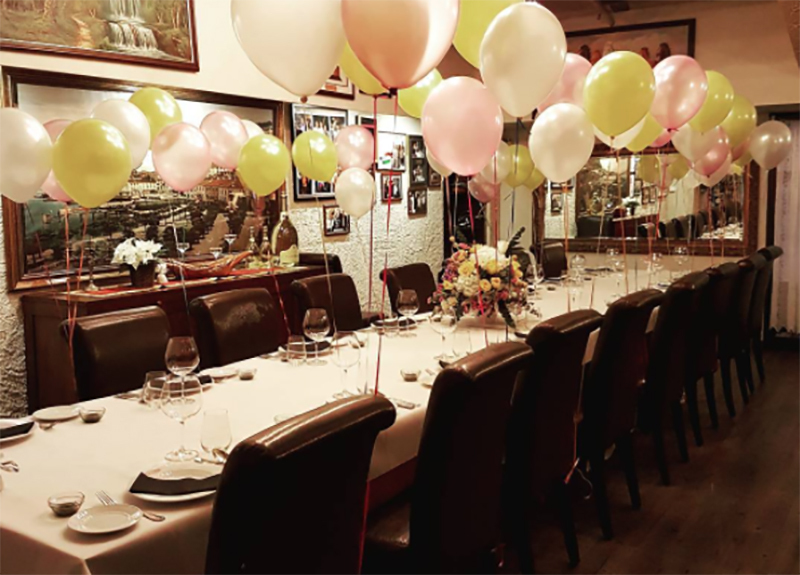 For special events like birthday parties they have a dining room upstairs that can seat up to 20 people, and for groups of 12 or more they usually do set menus with a selection of antipasti, pasta, and Neapolitan pizzas served piping hot out straight of the wood-fired oven. We absolutely love the atmosphere at Dempsey Cookhouse & Bar where the dining room is decked out in mosaic-tiled floors, marble-topped tables, white wicker chairs and chic light fixtures shaped like paper lanterns. The private room is just as impressive and can seat anywhere from 12 to 28 people. Even better, if you book the private room you can bring your own music and indulge in innovative set menus offering a variety of appertisers and mains. We love the easy-going vibes at The Guild, a cool Keong Saik spot brought to us by chef Vinny Lauria and Hong Kong’s Young Master Brewery. It also doesn’t hurt that they have 19 craft beers and G&T on tap. If it’s just a few of you celebrating good times, grab a seat at the circular bar for bevvies and banter. Larger groups can settle in at a table and dig into Singapore-inspired comfort food like the General Tso’s frog legs and fried chicken with salted egg. If you’re looking for a unique spot for an intimate birthday gathering with just a few friends, Junior is a new bar concept that offers up artisan drinks and food based around a theme that changes every six months. The current theme is NORMA, which focuses on craft tequilas, mezcals and Mexican-inspired bites. The cozy bar can seat up to 10 people comfortably, but it’s probably best to call ahead to make sure they can accommodate your group. Kappou may be tiny, but what it lacks for in size it makes up for in character. This is the only Japanese restaurant in Singapore run by a female sushi chef, and she pulls out all the stops with elegant omakase sets that feature dishes like house-aged fish, squid expertly sliced into delicate noodles, and abalone steamed in sake. We suggest renting out the entire space, bringing your own tunes and letting Chef Aeron Choo whip you up a beautiful birthday meal. Lolla consistently wins accolades for its innovative tapas style plates that showcase artisan ingredients. Think umami-rich Sea Urchin Pudding, Scrambled Eggs topped with Bottarga di Muggine, and Squab with spiced eggplant and smoked bone broth. Depending on the size of your group, you can book up to eight seats at the champagne bar or the private room downstairs for up to 22 people. The 14 seats at the counter overlooking the open kitchen are another good option, but they can only be reserved at lunchtime. Step into the lush courtyard of the Oasis at Grand Hyatt and you’ll feel like you’ve been whisked away to holiday locale replete with a glittering aquamarine pool. The daily BBQ buffets are a huge hit, but we suggest booking the private gazebo because you get access to the pool, butler service, a huge BBQ feast with free-flow drinks, and you can even play your own music. The food is served in three-hour blocks, but you can come early to get your drink on. Cheers! Fancy yourself a somewhat of a sake connoisseur? If so, Orihara Shoten is the perfect spot for your next birthday celebration. 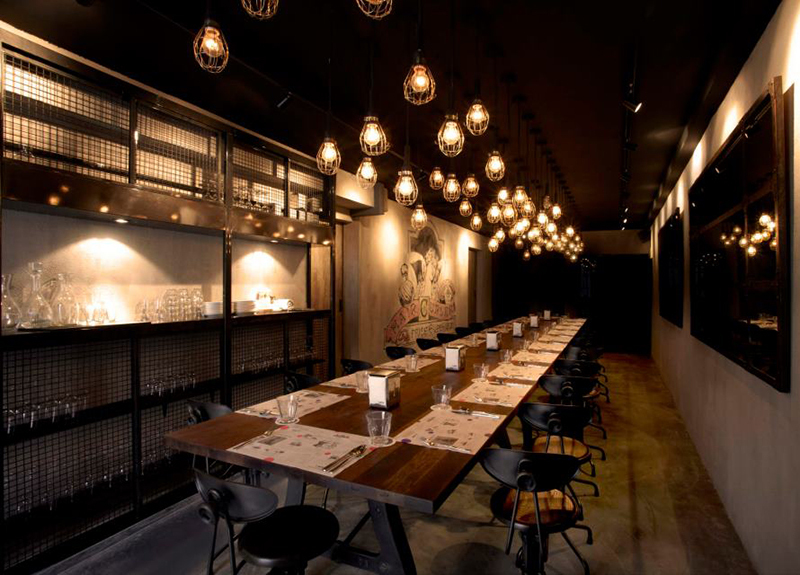 This boutique bar has one of the largest collections of sake in Singapore, and the owners and staff are extremely knowledgeable about all the different nuances of flavour. For private gatherings they offer closed-door events with various packages that include delicious yakitori bites from sister restaurant Toritama Shirokane next door. Tucked away on the third floor of Oxwell & Co is The Study, a cozy room styled like a British den with quirky touches like chandeliers made out of antlers, taxidermy squirrels scattered about and a stag head mounted on the wall. The room can seat up to 14 people for a sit-down feast of British-inspired fare or 30 people for a standing mix-and-mingle type of party. They can also do special menus for birthday parties, Christmas parties and more. Perfect for a guy’s night out, The Proof Flat is a sleek space where you can sample fine whiskies from around the world. Rent the room out for a private party and the staff will guide you through their collection and help you design your own specialty cocktails using their premium artisanal spirits. Even better, if you and your mates see something you like from their selection of spirits, bar accessories, and bartending books, you can purchase items to take home with you. Celebrate your birthday Italian style in the private room at Ristorante Da Valentino where the rustic stone walls, family photos and paintings create the ambiance of an Italian countryside home. Choose from an array of antipasto, pizzas and pastas from the a la carte menu, or let Chef Valentino put together a special set menu of classic dishes and seasonal creations. The private room can accommodate up to 55 people with access to the al fresco area on request. Add a bit of flair to your next bash at Teppan Bar Q, a cosy teppanyaki joint where the chefs slice, dice, flip, and grill each dish on a hotplate right in front you. Bigger parties can book out the entire counter so you have the show and those delicious eats all to yourselves. Menu options include traditional Hataka-style Japanese dishes, as well as a few Spanish-inspired creations like grilled octopus with paprika and Iberico pork ribs. The elegant interiors and award-winning Cantonese cuisine at Wah Lok make it the perfect locale for a special occasion. Book into the private room at lunchtime for a decadent dim sum feast or come for a delectable dinner of modern takes on classic dishes like the vermicelli soup with lobster in Chinese wine, deep-fried century egg wrapped in minced shrimp, or the famous roasted Peking duck. You can even BYOB to add a personal touch to your meal. If it’s an elegant Asian affair you’re after, Yellow Pot at the Six Senses Duxton is a swanky spot serving up authentic Chinese cuisine with a modern twist. The space is done up with sophisticated black tones and Asian-inspired accents like parasols and vases, and along one side you have semi-private rooms that can seat up to 16. The doors to the private rooms don’t fully shut, but it’s nice to have your own space and be able to gaze out at all the dining room action. Perched on level 38 of the Andaz Singapore hotel, 665 Degrees makes for a scenic spot to celebrate good times. We suggest meeting your crew in the lobby bar and having a few drinks before heading up to one of the private rooms where you can gaze out at the city through the floor-to-ceiling windows. Start with a few seafood-centric apps, then dig into succulent steaks, lobster, and veal chops.